Working with kids is not all finger painting and playtime. There are a great many challenges involved with working with kids and handling tantrums professionally and effectively is certainly one of them. Even if you are an experienced parent who has dealt with plenty of kids’ tantrums before, working with kids puts a different slant on it. There are a great many rules and regulations, quite rightly, that must be adhered to, and while these can change from local authority to local authority, and from schools to organisations, there are general guidelines that can help you deal with the situation. 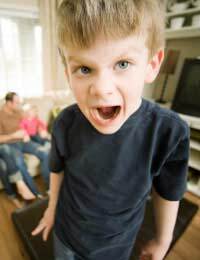 It is important to remember that for many children, having a tantrum is an expression of frustration. Children are very unlikely to be born naughty or difficult, but the circumstances and situations they find themselves in can have a huge impact on their behaviour. If you are skilled at working with children, you should be able to separate the child from their behaviour, and to see the personality behind how they are acting. Of course, this can be practically impossible if the child is going crazy and you don’t know what to do, or nothing will calm them down at that moment, but whenever possible it is worth remembering that the child is unlikely to be choosing to behave in this difficult manner. In order to do this, working with kids means you have a responsibility to understand their individual circumstances. Children whose behaviour has quickly gone downhill may be experiencing a change of situation at home, from a bereavement to a divorce to a new baby sibling. That’s not to say that there is always a reason, even though we might be hoping there is – we all remember the ‘naughty kid’ from our class who with all the understanding in the world just liked to play up. That may not be particularly politically correct, but even the ‘naughty kid’ can be helped, supported and encouraged to be the best they can be so they are not written off before they’ve even finished their GCSEs. So how do you handle a tantrum professionally and effectively? It might be worth noting that if there is anyway possible to avoid the tantrum in the first place, go for it! Get to know the trigger issues for the different kids in your care – an unhealthy lunch can cause hyped up afternoon behaviour for example. The next stage is to try and nip a wobbly moment in the bud before it becomes a full blown tantrum. How you handle the first few minutes of some difficult behaviour is imperative, so rather than just learn how to handle a tantrum, work on making them less likely to happen in the first place. Once you recognised the signs of an impending tantrum in the children in your care, you can try to find solutions for calming them down. This will, unfortunately, involve an element of trial and error, but there are some things which are worth trying first. Don’t be like an old fashioned teacher, bellowing at terrified kids. Kneel down so you are at eye level before you start talking. If permitted, gently but firmly hold on to their hand so that you are making a physical contact, and maintain eye contact throughout your interaction. We’ve all heard wishy-washy parents in the supermarket saying ‘Tarquin, I’d really rather you didn’t do that, darling’ when the little lout has just destroyed an expensive display of Champagne. You do need to be strong and positive when dealing with kids having or about to have a tantrum, so learn how to use your words carefully. You must not use any aggressive, passive aggressive or angry language, and you must only be positive and encouraging, but you are the adult so make yourself heard. Good phases include, “I have asked you not to do that, please explain why you did it again?” or “I need you to sit quietly for three minutes before we can talk about what happened.” You must not use ‘blaming’ language or any kind of name calling, so no ‘You are a naughty boy’ or ‘You have upset everybody’ as this just alienates the child and makes it unlikely their behaviour will be resolved. Rather than ‘making an example’ of the child by showing them up in front of their peers, it is important that you encourage good behaviour rather than ‘reward’ bad behaviour with attention. The ‘time out’ works well in these situations as long as you can do so without causing the child great embarrassment in front of their friends.